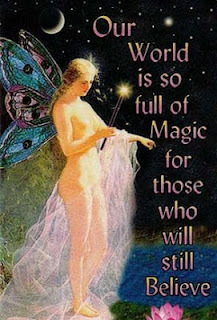 Would you like to believe in magick but don't want to be made to feel like a fool? What about angels, chakras, fairies, or maybe even something more down-to-earth, like the idea that you could actually transform your body with diet & exercise into something you'd be proud to show off in a bikini? Would you be willing to set aside your skepticism for a mere 30 days just to see what happens?? ?